Hello PCTELA and welcome to the Summer 2014 issue! As a colleague said, "August is one long Sunday night for teachers"...I hope this issue begins to energize you for the upcoming school year. I welcome everyone to share your contributions and ideas for future issues as we continue to grow! Remember to find us on Facebook and Twitter as I look forward to hearing from you! I write this shortly upon my return from the NCTE Affiliate Leadership Meeting in Minneapolis. This meeting was a fabulous, collaborative experience, and I feel lucky and honored to be a part of such a wonderful group of educators. Meetings like this (and our PCTELA meetings/conferences) remind me of why I became a teacher and member of NCTE and PCTELA. As I sat down with other English educators from across the country, I came to realize that no matter how far we are from one another, or how different our student population may be, we are all facing the same issues in education. Not only that, but we are also facing the same issues in our local affiliates. With that said, I am excited for this “new” year (the NCTE “year” began July 1). 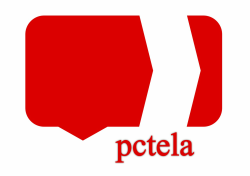 PCTELA will continue moving forward in this digital age. The blog has been up and running for a while now, and at least three posts are up weekly – thanks Kate, Allison and all other contributors. In addition, our twitter and facebook accounts are growing (@pctelanews). To continue with this momentum, we are revamping our website and rebranding in general. So please check back here for updates on our progress. What I would like to do is invite you all to guest blog with us. If you've a great lesson to share with your colleagues or simply want to review that book you cannot put down, contact us at the PCTELA News Blog. Again, I am thrilled at where our fabulous organization is, and even more thrilled for where it is going. Communicate. Collaborate. Create. Repeat. Energized Teachers + Engaged Students = SUCCESS! For more information and online registration, follow the link below! “The only thing that is constant is change.” ― Heraclitus. How often have we heard these words? How true they are, especially in teaching. When I began my teaching career forty years ago I could not imagine the changes I would see in the course of my professional lifetime. Let’s start with making copies, known in the old days as “the ditto”. Some of you might want to ask your grandparents what this was. I remember typing my master using my Smith Corona typewriter (manual, no less). I would then take it to the mimeograph (spirit duplicator) or ditto machine. After making sure that there was fluid in the reservoir and that the master was firmly in place I would turn it on and make my copies. Hopefully the master would not wrinkle or I would get a line down the middle of my copies. One school had a hand crank machine while the other was more progressive and had an electric one. Ah the aroma of freshly made copies. I’m sure the fumes have affected me in some way. Let us not forget the purple hands that were a by-produce of handling the ditto master. When I left teaching, copies were made just by running a master through a copy machine. No mess, no fuss (unless the machine had its weekly breakdown). We even had a copy person. I could give her any pages I needed to have copied and a date I needed them by and I would have them. I could even, OMG, email her a copy and she would get me what I needed. Another big change occurred in the record keeping (grading) department. When I began teaching, all grades were calculated by hand. I would sit for hours with my gradebook and my trusty calculator. I’d enter grades, get the total, and average them. For some reason I never got the same grade twice in a row so I would go back and recheck my work. Inadvertently I put in a wrong number somewhere along the line. Of course, if I hadn’t done this at night when I was tired already I’m sure there would not have been as many recalculations. When I left we had a grading program. It automatically calculated and averaged grades, printed out reports, and did report card grades all at the click of a button. Of course, I still had to be careful entering grades, but since I did each assignment as it was completed it was much easier. Along these same lines, there was the mad end-of-the-year rush to do permanent records. For those of you who might be unfamiliar with these, these were the records that were kept in the office on each student. It was a record of school attendance as well as a student’s grades. We as homeroom teachers were responsible for filling out the cards for the students in our homeroom. The problem was that all of the sixth grade students’ cards were kept on one tray. If another teacher had the tray you would have to wait. This was a time consuming task so usually teachers worked in pairs. One would read off the numbers while the other entered them. When I left, the computerized program the school used kept the records up to date and did all of this automatically. This was a great time saver. These are just a few of the changes I have seen in my teaching career. There is no way I could have foreseen the changes I would witness during my years of teaching. I know I can’t possible imagine what changes the next 40 years will see. From the covers of my students’ books to a nine-page spread in The New Yorker, John Green’s name has been popping up everywhere. Perhaps his new-found fame is due to the fact he authored the book that led to the recent movie, The Fault in Our Stars. Green began to gain a following towards the end of 2006 when he and his brother, Hank Green, began a YouTube channel that came to be known as “Vlogbrothers”. The original purpose of this channel was a challenge between John and Hank; their plan was to only communicate with each other via their YouTube channel. About a year or so later, the channel became a venue for exchanging ideas, answer questions, and generally just “nerding out”. I personally discovered this channel late in 2007 and have been an avid “nerdfighter” (the title fondly adopted by those who habitually watch Vlogbrothers) ever since. After showing a few of these videos in my own classes, students began asking who is this crazy guy who talks too fast? Happily, I explained and held up a few of the books he wrote; later, I was pleased to see one or two students walking around with Green books. Once the movie for The Fault in Our Stars was announced and previews began showing, I saw John Green books everywhere. Having read the book myself when it came out in 2012, I knew what the hype was all about. I refuse to write any spoilers, so all I will say is The Fault in Our Stars is quite possibly the most evocative and heart-wrenching book I have ever read. Green has a unique way of taking a depressing subject like teenage cancer and making you laugh through your sobs. He writes dynamic characters into all of his books, and he has those characters face situations that our students can connect with. At the moment, I am teaching 7th grade summer school in an urban school district in Harrisburg, PA. Since my classes are a little more than two hours long, I have my students read independently for at least twenty minutes every day. With no encouragement from me, half the students in each class are reading a John Green book. Most days the students (keep in mind, they failed English during the regular school year) ask if we can read longer. If that isn’t a good reason for you to pick one up, I don’t know what is! One of our members (and newly appointed Membership Secretary), Amy Nyeholt, has been nominated by PCTELA for the National Council of Teachers of English Leadership Development Award. See below for the article and profile from the Pittsburgh Post-Gazette...Congratulations! After discussing the topic of student choice with my English class, and then piecing together what I’ve observed over the years, I’ve come up with the TOP FIVE positive outcomes that come from students having choice when it comes to reading. You’ll look at reading as more of a fun activity to enjoy, instead of thinking of it as an assignment. – Morgan Z. 1. Enjoyment. This one is a no-brainer. When students have a choice in their reading, they more than likely are going to choose books that they will enjoy. This enjoyment continues on beyond that one book, as they will find a certain author or genre that they like more than others, and continue to pick up books because they KNOW they will enjoy them. It’s apparent that my own students find joy in reading because when I ask them to get out their independent novels (novels that they select), there is an audible and collective “YES” from the group. They think reading is fun. Period. When a teacher gives us a choice, I feel like s/he has more trust in us, as students, and that makes me enjoy the class and respect the teacher even more. – Olivia M.
2. Respect. By allowing choice, not only will students gain a greater respect for reading, they will also gain a greater respect of you – their teacher. When we allow our students to choose their own novels, learning is placed into their hands. No longer do the students have a teacher who “forces” them to read one novel in particular. They are in control. They have choice. They can read whatever they want. And most importantly, they garner respect for you for allowing them to do so. And when students respect their teacher, they will work harder. Win-win. My passion for reading ever since I was little has grown with my teachers giving me choice of independent novels. While I get to learn more and expand my knowledge with reading, I’m also enjoying it and motivated to read more. – Alyssa B. 3. Motivation. What I am learning is that when students have a choice in regards to reading, they are more motivated to read even more books. That makes sense, right? This motivation factor also ties into the enjoyment factor. By giving students choice, they have the opportunity to select books that appeal most to their own interests, hobbies and tastes. Because they are reading books that appeal to these interests, the outcome is increased drive and motivation to read even more books similar to that last one. And get this… according to Guthrie and Wingfield, authors of Handbook of Reading Research, providing genuine student choices increases effort and commitment to reading. Two things that all English teachers want to see. Now, that’s awesome. Lets us find new books through each other. – Abby D.
5. Life-long Love of Reading. A student of mine wrapped this one up perfectly when she wrote, “By being able to choose your own novels, you are more likely to come across a genre or author you like, which only makes you want to find similar books to continue reading in your free time.” (Alyssa B.) She certainly hit the nail on the head. Giving students choice in their reading instills a life-long love of it, and what’s better than that? When I asked my students what they feel the positive outcomes from having complete CHOICE regarding the books they read, I received the following responses. You can choose something you’re interested in, instead of being told what to read. You connect to the story and get more into what you’re reading. –Morgan Z.
It’s nice to have a teacher who gives you some freedom. We can look forward to class. – Carrington M.
Makes reading more fun when it feels like you’re choosing to read rather than being forced. -Abby D.
Does not seem as much like a project, but just a fun hobby. – Cole W.
Choice can guarantee that the reader will like the story. You can pick any genre, any style. Plus, there are thousands of options. –Carrington M.
I enjoy the book more. –Brad B. Makes reading more enjoyable. – Gabby C.
Gives freedom to find our own books and develop our own favorite types. –Abby D.
I have more respect for my teacher. She doesn’t just throw a list of books at you and say, “here. Pick one.” – Maia G.